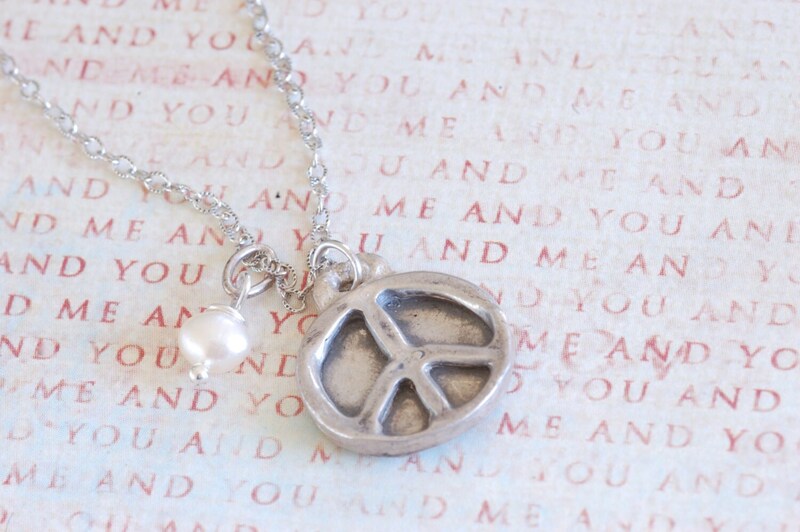 A rustic fine silver peace sign. (15mm) Combined with a white freshwater pearl. 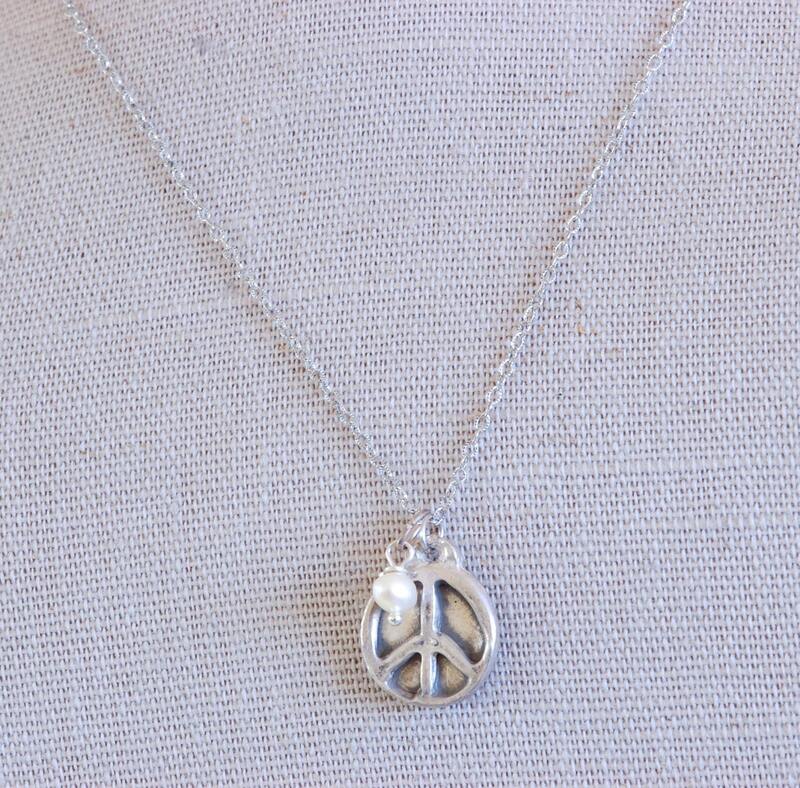 Both dangle from a slightly oxidized silver chain, adjustable 15 1/2 to 17 inches long.